Are you ready, L.A.? Here we go! All these towns look the same. Working by hindsight, l-l-l-looking for the danger signs. I'm a know it all. Facts are getting the best of them. Ha! The river rises up and flows above the Interstate. 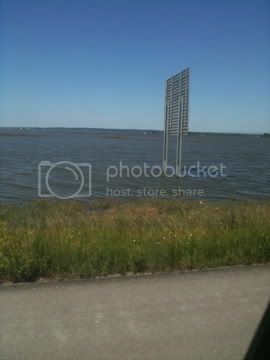 Aspiemom wrote: The river rises up and flows above the Interstate. It's the car that got stuck. It's the mud. It's the mud. In a beautiful house. . . . I can hardly see, ‘cause my head’s in the way. And don't worry 'bout tomorrow, hey hey. Blue, like blood returning to my heart.